Whole30 – Day 7: Coffee Expo! I had to work at an important event this morning (Event Manager by day), so quickly made Eat Drink Paleo’s Chai Banana Porridge before heading out the door. The porridge tasted good and made my belly warm, but I felt it was just too nutty and didn’t feel like finishing the serving. I grabbed a cold boiled egg to add some protein. The expo was a massive celebration of all things coffee, and coffee being a big thing in Melbourne, this was pretty much the pinnacle of hip. We wandered the exhibition halls and checked out the very cool designs of the stands; watched coffee being brewed, dripped, poured and syphoned; and tasted a range of delicious brews, teas, chai and hot chocolate (I skipped the last two). We tried to watch the world barista championships but couldn’t get in to the arena as it was soo popular! 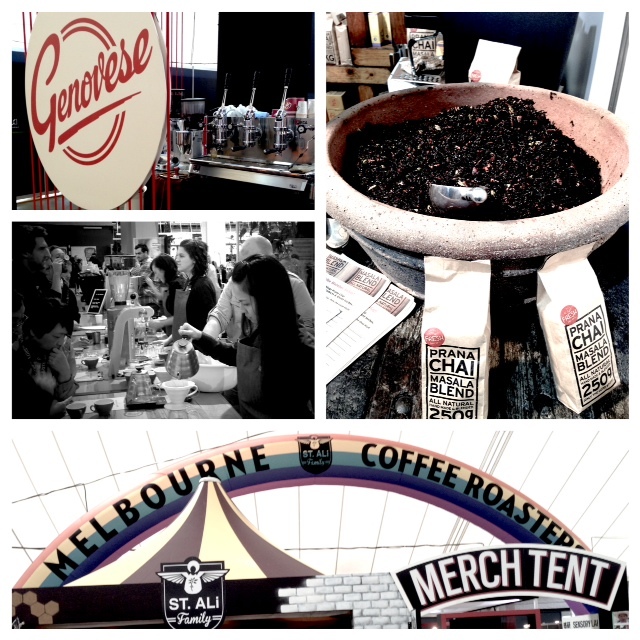 Who knew that a coffee expo could be so well received – only in Melbourne! All ready to tackle week 2!